I’m a total sucker for dystopian reads, be they YA, Middle Grade, or Adult. I love being moved and disturbed by the often times believable glimpses into what could be our future. Especially when the stories take a turn towards the dangerous realm of human slavery, and the different facets of said slavery. 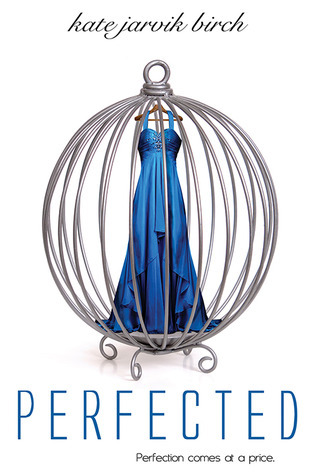 Perfected begins with a group of perfectly poised, posed young ladies with no names waiting to be purchased and taken to their forever homes. Birch immediately draws you into the world she’s created, your heartstrings being tugged at from page one. The concept she brings to page is one which I have to admit is a favorite of mine, even as it worries me that the thought of specially bred, or raised humans being considered less human than everyone else. Ella very quickly wormed her way into my list of well crafted characters. She’s just so naive and innocent, and yet sure of herself and her place in the grand scheme of things; until she starts developing feelings and emotions she’s not ‘supposed’ to have. Without exception, I found Birch’s characters to be solid throughout the entirety of Perfected. Even when I didn’t, personally, like the character they still fit the personas they were meant to. From the anti-Pet ‘nut’ to the disturbing Congressman, every one was believable and added to the overall story. -Digital ARC provided by publisher, in exchange for an honest review.